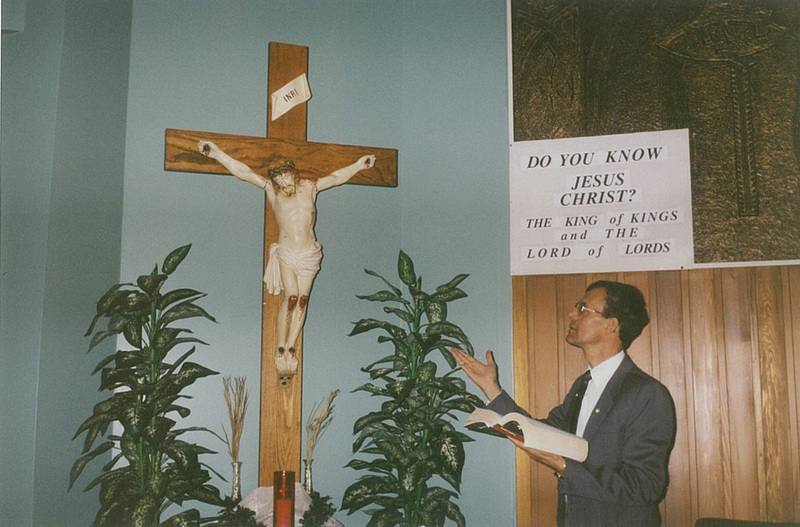 A talk given by her son, Donald Andre Bruneau on the occasion of a ‘Mother’s Day Supper’, sponsored by the ‘Good Samaritan Inn’ homeless shelter, May 11, 2003 in Timmins, Ontario, Canada. To all of you ‘mothers’ gathered here today, I wish you all a joy-filled Mother’s Day. May God bless each one of you a hundred-fold for all the hours, for all the work, for all the tears and for all the prayers you have invested in the raising of each one of your children. I am convinced that if it were not for all of the God-loving, God-fearing and righteous mother’s in the world today, much of the world would be total chaos…..a most hellish place to live. I believe ‘motherhood’, as described in the Bible, is deserving of the utmost honour and respect. The motherly hand that rocks that cradle and the arms that so gently hug that baby, can mold and influence it’s life deeply and forever. When Rose Nadeau, foundress of the Good Samaritan Inn, called and asked me to speak here tonight, I was overflowing with joy for the opportunity to speak on the ‘Power of a Mother’s Prayers’. This gives me an opportunity to honour my mom whom I am very privileged to have with us here tonight. On April 21st, 2003 Mom celebrates 60 years as a Mother! Mom’s focus in life was God and her family. I can attest to that. Mom’s life was greatly influenced at a young age by her love and devotion for the ‘Blessed Virgin Mary’ the Mother of God. At the age of twelve Mom received a postcard from China. The message on the card was to drastically influence the rest of her life. It changed the way she lived and the way she prayed thereafter. This message…”Pray to the Virgin Mary” stuck with Mom. It was from that moment on that Mom began to develop a deep and loving relationship with Mary, the Mother of God. As far back as I can remember into my childhood, Mom prayed the ROSARY every day and wore the ‘Miraculous Medal, a medal of the Virgin Mary around her neck. As a matter of fact I have the original medal that Mom wore around my neck. as family and seeing my Mother’s devotion to Mother Mary influenced me more than I realized at that time. Today ‘prayer’ has a central role in my life and with prayer ‘Mother Mary’s the Mother of God, the Mother of our Lord and Saviour Jesus Christ. As I cannot speak of ‘Mother’s and Prayer’ without speaking of my Mom, I cannot speak of my Mom without speaking of the ‘Blessed Virgin Mary’. Before I begin to speak of my encounter with the Blessed Virgin Mary, I must tell you that it was in January of the year 1975 that I came into a ‘personal relationship’ with Jesus Christ as my Saviour, in a Miracle Service of an evangelist named ‘Kathryn Kulhman’ in Pittsburg, Pennsylvania, USA. It was in October of 1989, in Medjugorje, Yugoslavia (now called Bosnia) that I came into a personal relationship with Mary, the Mother of God. I spent three unforgettable, life-transforming days in Medjugorje, where Mother Mary has been appearing to six children since 1981. Her basic message is ‘repent and turn to Jesus’. Since my encounter and CONSECRATION to Mary in 1989 she has been bringing me closer and closer to Her Son, Jesus Christ. She has been urging me to follow the narrow road that leads to eternal life as opposed to the broad road of sin that leads to damnation. This is Mother Mary’s deepest desire, for all to repent and turn to the Mercy of her Son, Jesus Christ. By turning to Jesus Christ we then begin to want to pray more and more. Testimonies of “Why God is So Good”. Mom has many reasons for saying ‘God is so good!’, and here is where I begin to testify and witness to all of you of the goodness and mercy of God and the fruit of Mom’s prayers. In 1974, Mom had leukemia, cancer of the blood and was at the stage where she was having to take the strongest medication at that time, a drug called ‘pregnazone’. I arranged to send my dying mother to Pittsburg, Pennsylvania, USA., to a Kathryn Kulhman Miracle Service, in the winter of 1974. The evening before the Miracle Service, Mom met a black Anglican priest by the name of Rev. Edgar Webb. He was a charismatic priest used by God in a healing ministry. He laid hands on Mom, prayed for her and the first thing you know Mom was laying on the floor of the hotel ‘resting in the Spirit’. While she lay there God let her know without a doubt …that she was healed! Two trips were made to Sudbury, Ontario soon after for blood tests by her doctor, who confirmed her healing, and that she no longer had any cancer. That was 29 years ago. 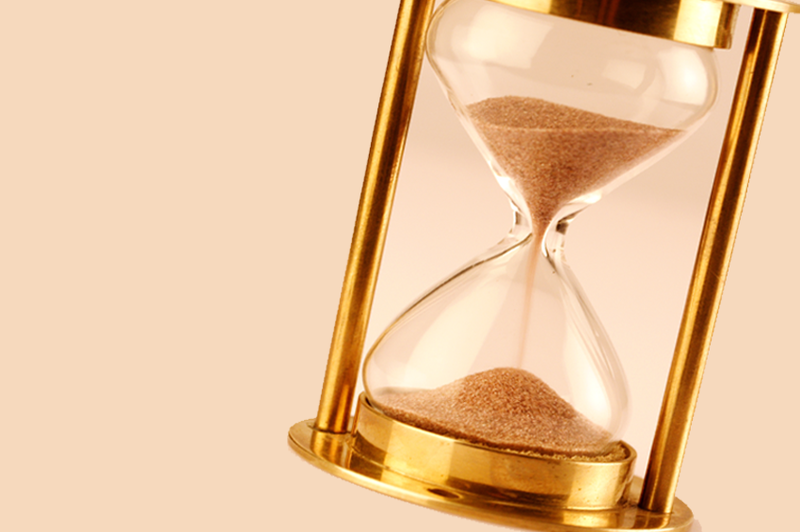 Note Mom died at the age of 91.5 years….cancer never returned. God has permitted Mom to live from the age of 55 when she was healed to age 91.5 in 2011.. In all those years she was a mighty blessing to her family and many other people. 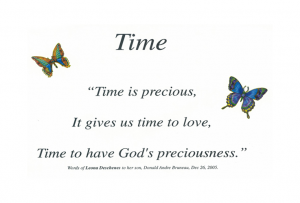 Over those years her prayers made a significant difference for many people in her family. One of those was her first-born, my older brother Ronald. I had been attending a series of healing services at Theriault High School and tonight was the last night of the meetings. Towards the end of the healing service I approached the healing evangelist and told him about my brother’s problem. We both laid hands on Ron and everyone there joined us in prayer for Ron. His pain left him immediately, never to return. He was healed that night. 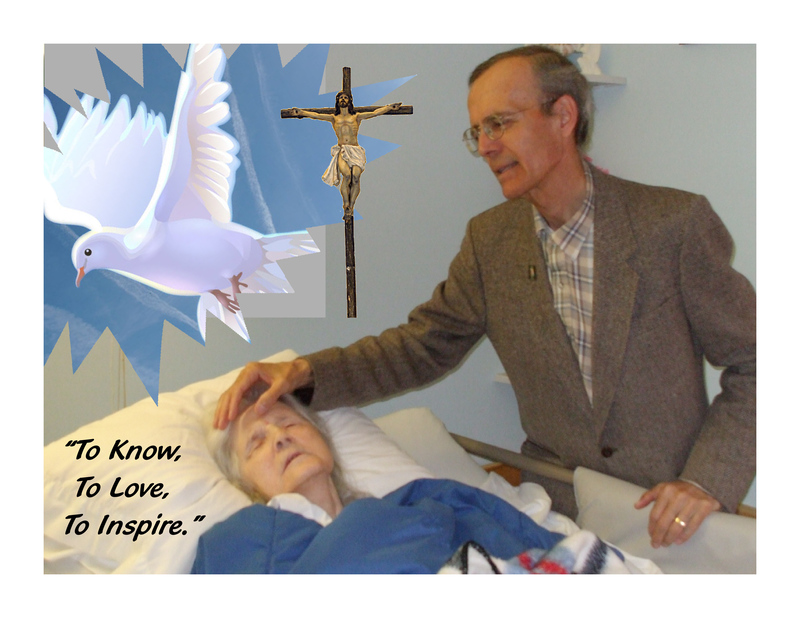 In my excitement, as soon as I returned home that night I called Mom in Chapleau, to tell her what happened to Ron, Before I could get a word out, she said to me: “Donald, I was praying my rosary for Ronald tonight, and in the middle of my rosary, I begen to cry! God told me that my son Ronald was healed! As a result of this warning from God, Mom prayed her rosary, seeking the Virgin Mary’s power of intercession on behalf of Ron. She prayed very hard for two days, Thursday and Friday, January 30th and 31st. “The thief cometh not but for to steal, kill and destroy, but I (Jesus) am come that you might have life and life more abundantly.” Mom’s prayers tipped the scales in favour of ‘life’ for her son, as we shall see. On Friday, January 31st, at 4 p.m. Ron left Timmins in his four wheel drive pickup. He was heading for Grand Rapids, Michigan, U.S.A. He drove via Highway 129 which passes along the windy road of the Mississaugi River, with a ditch and a rockcut on the one side and a 50 to a 100 foot drop into the river on the other side. My wife, Claudette, was very upset because Ron was supposed to give her a ride to Sault Ste. Marie, so she could visit our daughter Tammy. I thank God Ron forgot my wife as we shall see why shortly. As Ron was driving along, there was no snow on the highway, but he hit an icepatch and lost control of his pick-up. To his left was a 100 foot drop into the river and to his right was a gully and a rockcut. Thank God he did not go to the left into the river. He ended up by going upside down into the ditch. As the truck was overturned and moving, the rear sliding windows were forced open and the whole cab was PACKED with snow. When the truck stopped moving, the major part of it was buried under the snow. Here was Ron, semi-conscious, sitting right-side up in an overturned truck whose cab was squashed to half the normal size due to the accident. Had Ron been wearing his safety belt (which e usually does) he would have died because of too much blood going to his head, in an upside down position. He had stopped minutes before the accident to check something on his truck and had not yet put his safety belt back on. His truck was diesel-fueled. Had it been gasoline, it would have meant a fire and /or explosion and goodbye Ron! There was also a six foot long, very heavy steel bar loose in the rear of the truck, which ripped through the cab, narrowly missing Ron! Ron also told me he spent a couple of hours imprisoned in the cab of his truck which was packed solid with snow. He could not budge. He was a prisoner in his cab. Had help not come as it did two hours later, he would have frozen to death in the sub-zero weather! Two men stopped and dug him out and pulled him out of the cab with much difficulty. Two days later after the accident I saw photos of the truck. It was like an accordion, a total wreck! Logically, Ron should not have come out of this accident in one piece. All he had was some scratches and bruises. Sunday morning I was startled to see Ron at church. He was supposed to be in Michigan, U.S.A. It was then that he told me his story and showed me photos of what was left of his pickup. It was a total write-off. “Another instance when God was so good was the summer of 1960 when John, my youngest son, ruptured his kidney. He had tied himself to his bicycle with a (car) seat belt and rode too close to an open pit in our garage. He fell into the pit with the bike on top of him. As you can see by the many testimonies of our mother’s answered prayers, I feel it is important now to explain why Mom has chosen Mary as her ‘mighty intercessor’ or to put it another way, why Mom has chosen to ‘go to Jesus through Mary’. Some people wonder why Catholics pray to Jesus through Mary. Why not go direct to Jesus who then prays to the Father? It is okay to go direct to Jesus. What I want to do however is to try to explain in a basic, simple way, without getting into a heavy theological discussion why Catholics have such a strong devotion to the Blessed Virgin Mary and why She is such a ‘powerful intercessor’ for whoever approaches Her. “Woman, what do I have to do with You? My hour has not yet come.” Immediately after Jesus spoke to His mother, Mary said in John 2:5: “Whatever He says to You, do it.” In other words listen to my Son and obey Him. You see, when you go to Mary, you always end up going to Jesus! And Jesus never denied any of His Mother’s requests! Jesus converted the water into wine, He did His first miracle, only because Mary ASKED HIM.Jesus did not refuse His Mother. Let us never forget, no human being has a closer relationship with God THAN MARY HAS WITH JESUS! 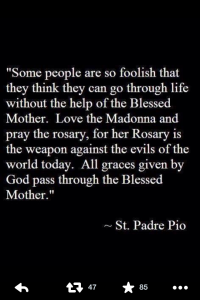 Why We Pray The Rosary. 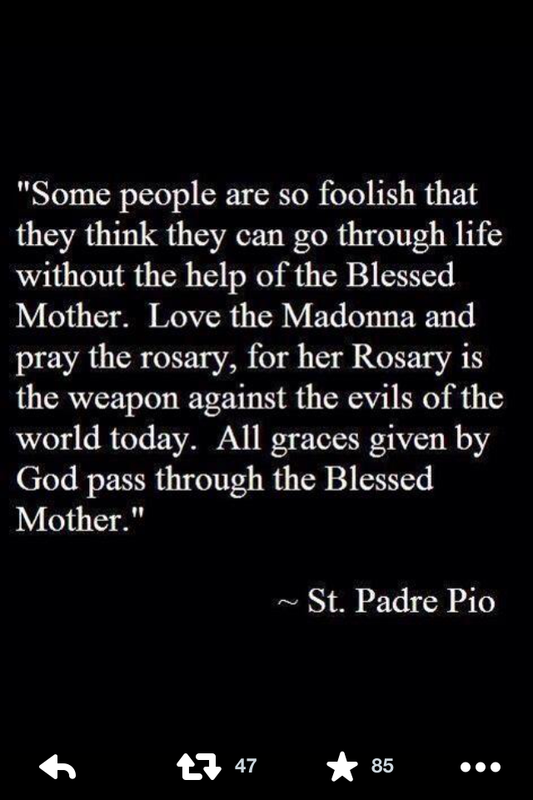 As we can see the words of the Rosary are VERY scriptural and Christ-centered. This is because Mary’s goal is always to bring everyone that She encounters to Her Son, Jesus Christ and get them saved. Technically, the term ‘Rosary’ refers to the full twenty decades, with a Gospel mystery associated with each decade. The twenty mysteries are categorized into four sets of five mysteries, known as Joyful, Sorrowful and Glorious mysteries.. This year, the ‘Year of the Rosary’ Pope John Paul II has added the ‘Luminous Mysteries’. “When the atomic bomb destroyed Hiroshima on August 6, 1945, it somehow spared a building only eight blocks away from ground zero. In it were living eight Jesuit priests who were unharmed by the blast, heat and radiation. These Jesuits were spared from destruction of the Atomic Bomb because they prayed the ROSARY every day and had a great devotion to the Blessed Virgin Mary. I cannot speak of the power of a Mother’s Prayers without speaking about ‘suffering’. Jesus’ greatest of all prayers’ on our behalf, for the salvation of souls, was the SUFFERING He endured during His Passion, including His Crucifixion. As Christians, like Mary, His Mother, we are not exempt from suffering as we journey through this short life on earth. But what should be our reaction to suffering when it comes into our lives? We should do everything possible within our means to eliminate the sufferings in our lives and the lives of others. We can do this through medicine, counselling and especially prayer. If you wish to do some excellent reading about ‘suffering’ I highly recommend (1) a short article of twenty some pages by Pope John Paul II titled: “Salvifici Doloris” which means “The Human Meaning of Suffering”. (2).. A book titled ‘Don’t Waste Your Sorrows by Paul E. Billheimer. By reading this you will get many answers to your questions about suffering. You can also study the lives of ‘victim soul’s such as the life of Saint Padre Pio. Padre Pio was a priest in Italy who suffered the ‘stigmata’, the wounds of Christ for 50 years. There has been many ‘victim souls’ in the history of the Church and there are still some today. Like Saint Paul we are called to follow in the footsteps of Jesus. 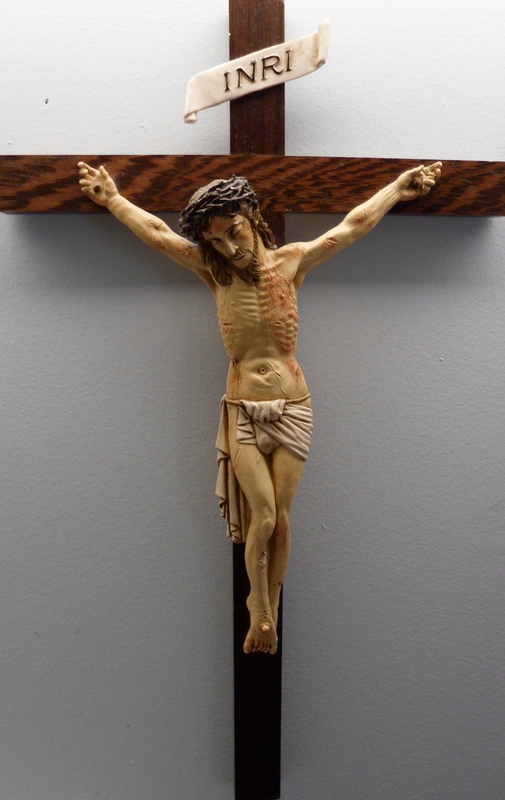 In Matthew 16: 24-25 we read: “If you would be my followers, you must deny yourself, take up your Cross and follow Me. Suffering is a companion to my Mom. 11/2 years ago her entire left side became paralyzed because of a stroke. Up until the age of 80.5 years Mom was able to care for herself. Now she spends her time in bed or in her wheelchair at the Golden Manor Nursing Home. Now Mom is at the mercy of others. But in spite of her sufferings, Mom is a joyful person. The ‘joy of the Lord’s is her strength. She gets this from her deep life of prayer and the grace of God. This statement is right in line with the teachings of Jesus. Also a year after I gave this talk Mom said this to me. 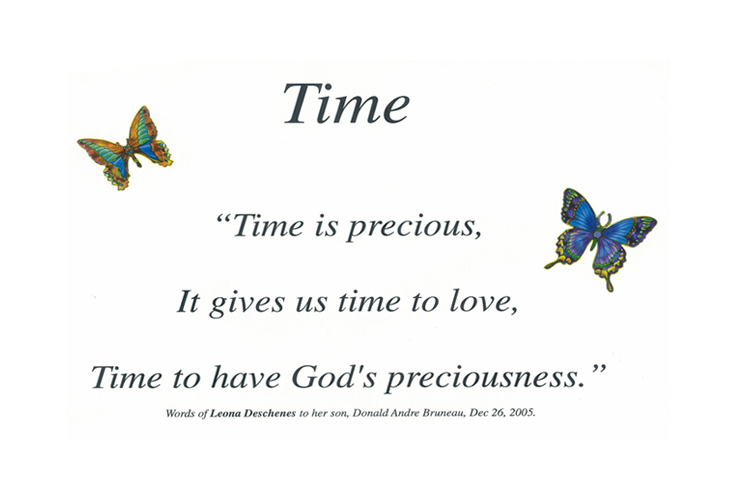 Her words are forever with me..
You can read it on my website www.striveforheavennow.ca . “Jesus, please forgive me, a sinner. Come with Your love and your MERCY into my heart, into my life.” Amen. Feast of Our Lady of Sorrows.